It’s true. Instagram is pretty locked down when it comes to what you can and can’t do on their platform. And for a good reason. Remember MySpace? MySpace allowed users to do basically whatever they wanted to their page. Hence the name, “My Space”. You could even insert your own CSS into your page, if you didn’t mind rendering all your “friend’s” browsers useless. So how do you stay savvy (not spammy) and make sales with these constraints? Let’s go over some numbers first. 30% of online shoppers say they would be likely to make a purchase from a social media network like Instagram. Not only that, but according to Instagram Advertiser statistics, 50% of their users follow at least one business, 60% say that they learn about a product or service on the platform, while 75% take action, such as visiting a website, after looking at an Instagram advertising post. Instagram has 600 million users, 25% of which live in the United States, so you could reach close to 40 million Americans consumers willing to buy from an e-commerce store like yours. 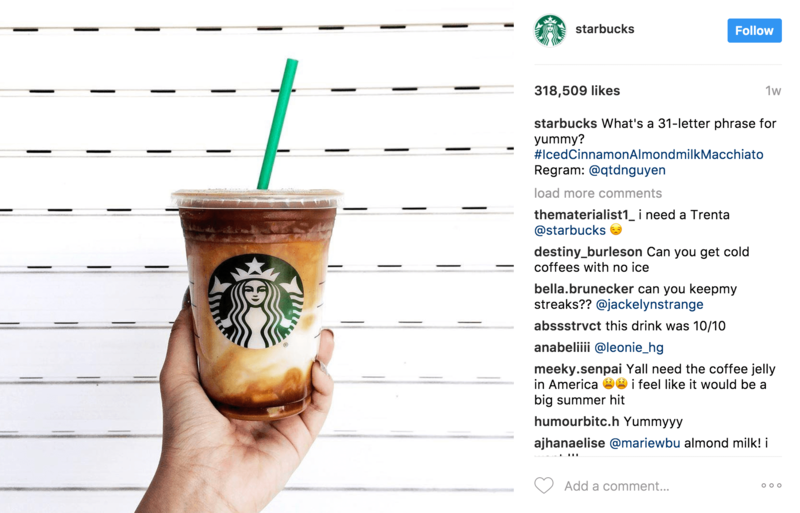 If Instagram has so much potential, why do only 36% of marketers use it? I think it’s a visual problem. Marketers just can’t see themselves taking a tool they use to connect with their friends, and turning it into an acquisition channel. So they don’t use it. What they need is to see real facts and examples of how Instagram can help them grow their e-commerce store. And that’s exactly what you will see in this article. Engaging with your followers is a great way to develop a loyal tribe around your brand. This is especially true on Instagram, where engagement with brands is 10 times higher than on Facebook, 54 times higher than on Pinterest, and 84 times higher than on Twitter. Engaging with your audience means you publish content they find both valuable and entertaining. This is the only way to make your audience care about whatever you have to sell. Engagement isn’t just about friends and likes, however. It’s about revenue too. An engaged follower on Instagram is worth an average $65, $10 more than on Facebook. Hashtags are popular for a reason: people like using them. Posts with at least one hashtag average 12.6% more engagement than those without, according to a study by Simply Measured. Hashtags are also useful for people to find you. Not only do you engage your audience, but you also get more visit to your posts. In the following example, you can see how Starbucks uses product-related hashtags to promote their coffees. To make things even more interesting, they feature photos of their own customers showcasing their products. This is a 2-punch combo that adds social proof, a powerful psychological principle. If you need some help finding relevant and popular hashtags, you can use the ones that show up in this article by Post Planner. We listed some of the popular ecommerce-themed hashtags from that article below. 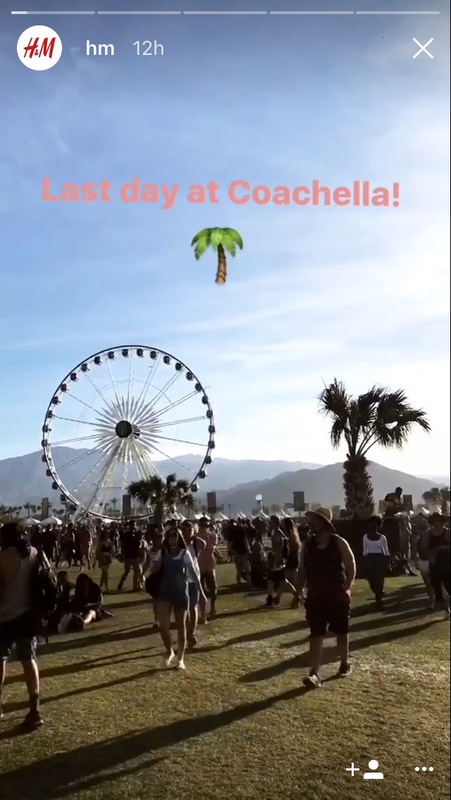 In August 2016, Instagram launched Stories, a feature that lets users post photos and videos that vanish after 24 hours. In the short time since then, Instagram has been able to attract a new audience and even surpassed Snapchat at its own game. What’s so special about Instagram Stories is it lets people see the “behind the scenes” action behind big brands. 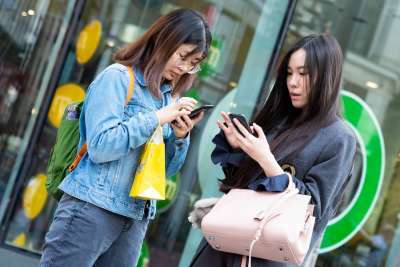 Instead of liking perfect-looking pictures taken by professional photographers, people can now see pictures and videos that look as if they were shot by their friends. This creates a level of intimacy unmatched by any other marketing tactic. In the following example, you can see how H&M, the low-cost fashion retailer, shares their own views from Coachella. Look at the view, the quality of the video, and the text. It looks like it could have been written by anyone, not a multi-billion dollar company. Does it sell anything? No, but it creates a connection. Tasty, the food channel from BuzzFeed famous for its short, simple recipe videos, shows captions and videos of their recipes that they later show on their YouTube and Facebook channel. Showing unreleased content makes it even more special and powerful to their audience. There’s no doubt that if you want to engage with someone, you need to communicate often. Think about it, how often did you contact your best friends when you just met them? Probably very often, maybe even daily (this includes class and workmates). The same applies for Instagram. You need to post often, so your audience gets used to hearing from you. This is especially true if you create valuable content that helps your audience. They will want to hear from you. There’s no right or wrong publishing frequency. More is often better: a study conducted by Forrester in 2016 found that top brands now post 4.9 times per week on Instagram, an increase of more than 50 percent over 2015. Still, this is something you need to test. For example, you could publish every day once every working day, except for Tuesday, when you publish twice – once in the morning and once in the evening. If you find this new publishing frequency cannibalizes the likes of your other posts, you are publishing too often. Also, be realistic about how much you can publish. You need to publish entertaining and valuable content, not crank out spammy or irrelevant posts. Contests work as a fantastic tactic to get your followers to act on the premise that they get an award if they do what you ask them to do. This is a form of “active” engagement: they’re doing more than liking or commenting an image. Like contests: These consist of asking your followers to like your photos in order to enter a contest for a prize of your choosing. Comment contests: In these contests, you ask your followers to comment on one of your photos in order to enter the contest. These contests usually ask your followers to say why they want to win the prize. Some will ask them to tag three of their friends. This can also help you direct new traffic to your Instagram account. Regram contests: These contests ask Instagram users to “Regram” (i.e. republish) an image, tagging your business or branded account. This allows you to get one of your image shared with not only your followers, but their followers as well. Photo challenge contests: A mix of user-generated content and social media. In these contests, you ask your followers to post one of their own photos on their personal accounts, in most cases using specific hashtags along the way. 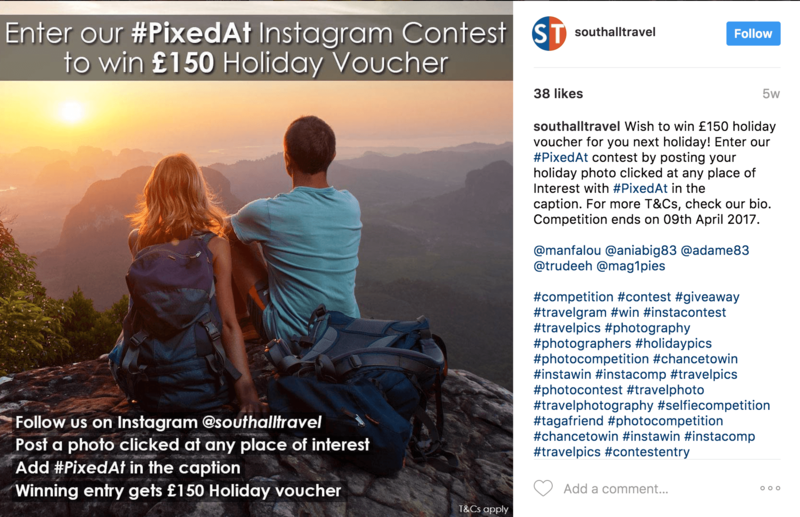 In the case below, you can see how Southall Travel, a travel company, uses a photo contest that fits their value proposition and also engages their followers, rewarding its participants with a nice travel voucher. 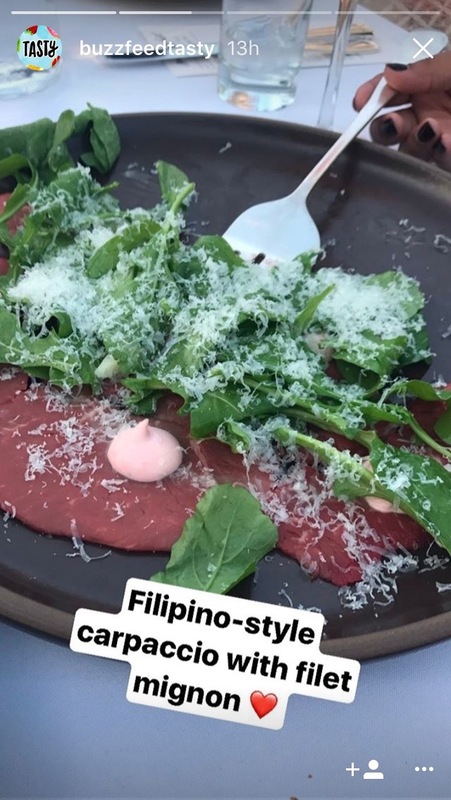 People use Instagram to have fun and connect with their friends. Therefore, your photos need to be fun, entertaining, and eye-catching. A study carried out by BigCommerce found that 78% of online shoppers want e-commerce stores to bring their products to life with images. This is also a good way of taking your followers to your product pages. If you’d rather focus on signing them up to your email before asking for a sale, you could send people to a landing page, which you can learn how to create with this handy guide and with the help of a landing page creator. 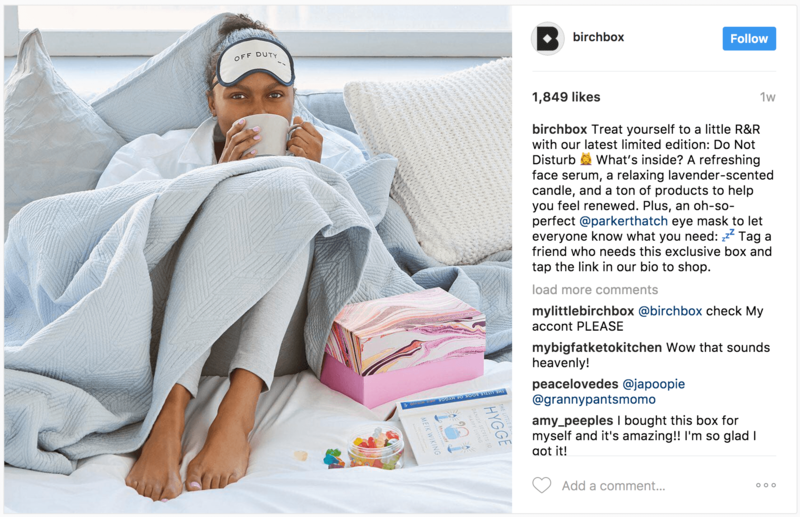 Birchbox, the makeup subscription company, showcases one of their latest limited edition products mixed with a like contest offer. They also put a clear call-to-action in the copy, so even though the link isn’t the photo itself, it’s still there for their followers to take. In contrast with Birchbox, ASOS, the e-commerce fashion retailer, post a clear CTA straight in their photo. This is also a campaign-specific URL made to track who clicks on it. Even though Instagram’s organic reach has increased 115% since 2012 while Facebook’s has decreased by 63% since 2012, you still should use the ad system Instagram offers to increase your reach even more. 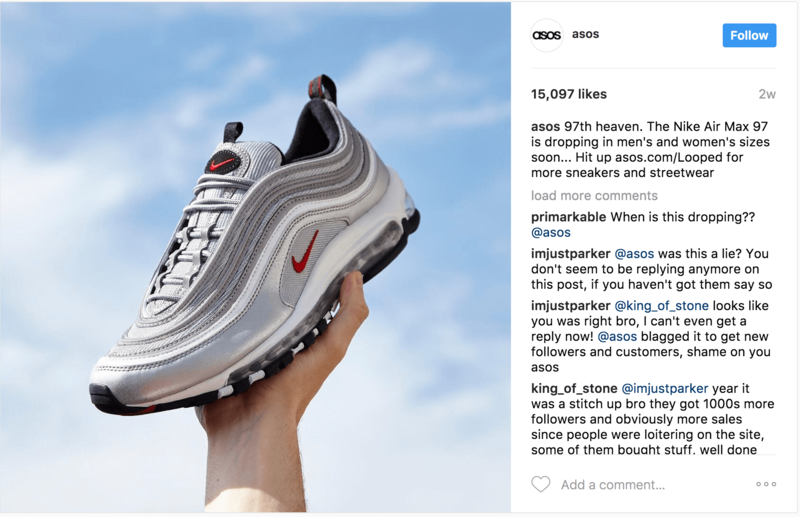 With 400 million people using Instagram every day, ads represent a valuable new advertising channel for brands to increase their engagement as well as their revenue. Even after Instagram opened up their ad system in late 2015, eMarketer reports that Instagram ad sales should hit $2.8 billion by 2017 (up from $600M last year). 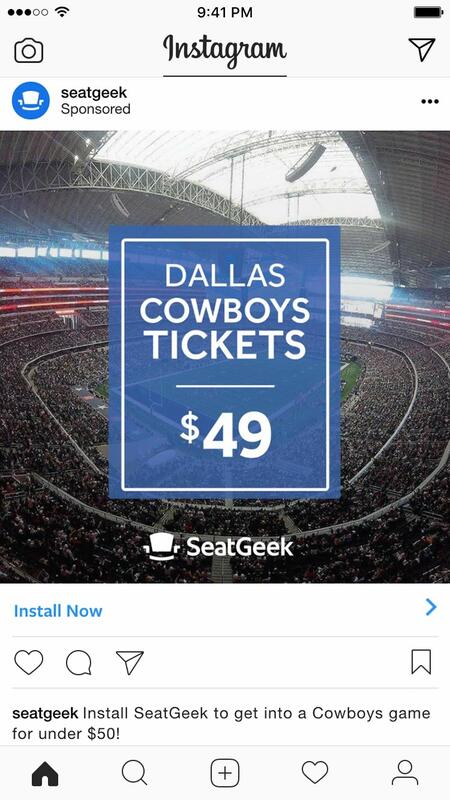 SeatGeek, the event ticket marketplace, increased their user signup rate and their in-app purchases by 1.65 and 2.8 times, respectively, thanks to Instagram ads. They got these results while decreasing their cost per acquisition 55%. 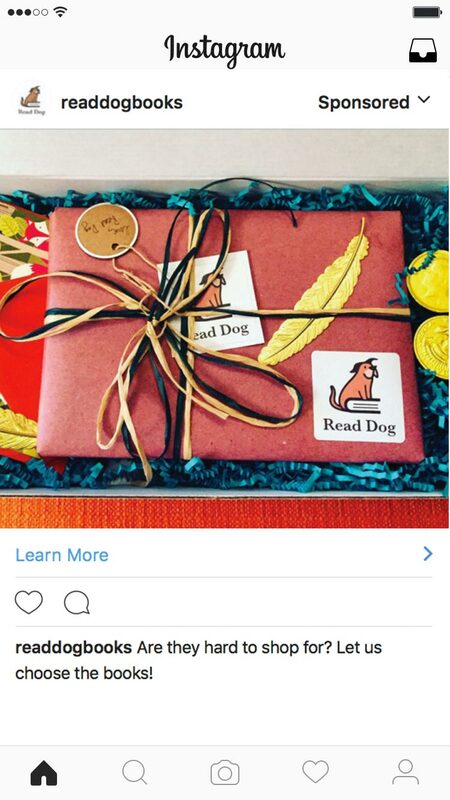 Read Dog Books, a book subscription service, used Instagram ads to retarget the customers they reached through Facebook ads. This allowed them to get a twofold increase in their email leads as well as a threefold increase in their paying customer base. All in all, they got a 700% return on their ad spend across Facebook and Instagram. I want to tell you a little secret. Promise me you’ll write it down and read it aloud every morning, okay? You need to use video, both on your social and paid campaigns. Nearly two-thirds of consumers say companies that use video know how to reach their customers. A majority of consumers find it helpful to watch a product video more than once before making a purchase. I could keep going, but you get the point: when it comes to making purchases, people like video. It’s an especially good fit with the fun and entertaining nature of social media. You don’t need to spend thousands of dollars in a video campaign to get started. You could use your own phone to create videos for your Instagram Stories, take those videos, edit them to make them look more professional, and use them in your regular posts. Maserati, the Italian luxury carmaker, used Instagram ads to promote their latest car, the Levante. You would imagine such an expensive car wouldn’t get much attention from a social network like Instagram, would you? Maserati actually got amazing results. To start, they generated 27k leads and sold 127 cars to them. That represents just a 0,47% conversion rate – but each sale is worth more than $70k. Do the math to see how much money Maserati was able to make thanks to their Instagram ads. Do you still believe videos aren’t powerful? Absolut, the famous vodka brand, used videos to increase their brand awareness to their Spark illuminated bottle. 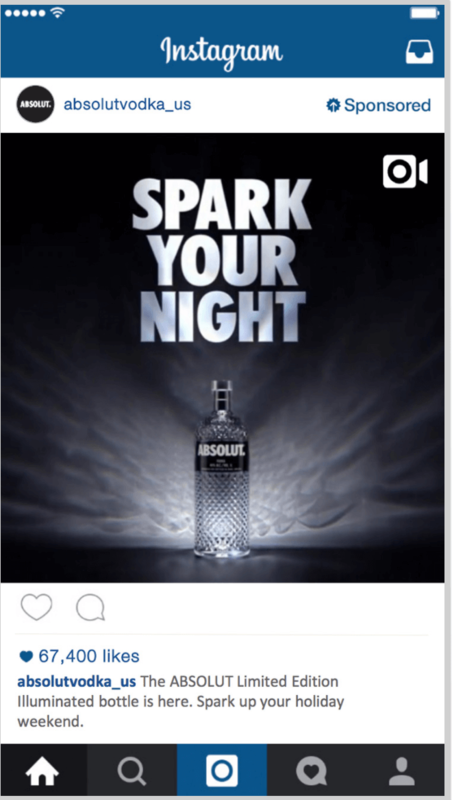 Absolut’s campaign got a 5-point lift in brand awareness and a 33-point lift in ad recall thanks to their Instagram video ads. Today you learned how Instagram can help grow your e-commerce business. To do that, you need to focus on engaging your followers by using hashtags, running contests, and using Stories, among other tactics. Then, you need to start using their ads system, which can help you build on the organic results you’re already getting. Finally, you need to use videos more often, both to increase your organic reach and with your paid campaigns. Follow the advice laid out in this article, and your e-commerce store is guaranteed to grow. About the Author: Ivan Kreimer is a freelance content marketer that helps SaaS business increase their traffic, leads and sales. Previously, he worked as an online marketing consultant helping both small and large companies drive more traffic and revenue. He is also an e-commerce store owner, and a world traveler.